• Patient Messaging – Share messages and documents with patients and let them respond or initiate conversations. • Online Forms – Patients can fill out registration, Rx refills, appointment requests and any other custom forms. • Online Bill Pay – Collect payments and present bills integrated with existing merchant account. • CCD / CCR – Upload CCD and CCRs from the EHR to the patient portal. • Capture – The Updox print driver allows you to print from your EHR, practice management system, or any application directly into Updox. Beginning in January 2013, electronic health record (EHR) providers could begin certification testing for Meaningful Use Stage 2. Three of the new 2014 Certification criteria require the use of the ONC Direct secure messaging protocol. 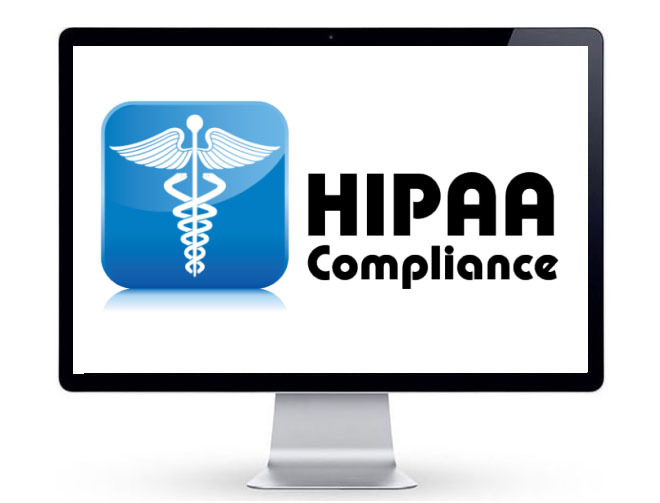 As an experienced Health Information Service Provider (HISP), Updox can provide the tools and services you need for certification. The Phase 2.0 Direct protocol is required for the two Transition of Care tests (sending and receiving) and for the View/Download/Transmit test. Updox can easily work with your existing infrastructure and patient portal to provide the management of the Direct infrastructure. In addition, Updox can also provide a patient portal to help you complete the Secure Messaging test. Perspectives: SearchWrite has implemented a Patient Portal solution using Updox, the most rapidly adopted Practice Communications Management (PCM) system in the industry, today. The Updox platform uses the national standards established by the Office of the National Coordinator for Health Information Technology’s (ONC) Direct Project and operates as a Health Information Service Provider (HISP). The Updox HISP helps electronic health record (EHR) providers meet the secure and direct messaging requirements. 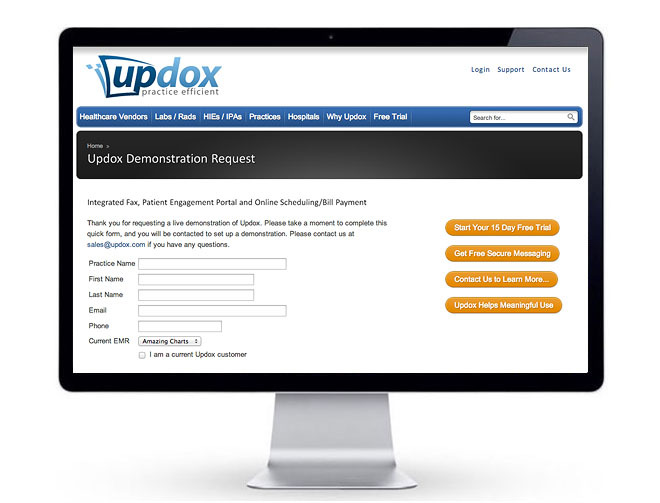 If you do not currently have an EHR, you can still use the Updox platform to save you significant time and costs within your practice. Get your faxes electronically and you can quickly annotate and sign documents before faxing back out. You can also determine which pages you want to print out to include in the patient chart. Eliminate your dedicated fax line cost and reduce your toner and paper costs with our web based solution. 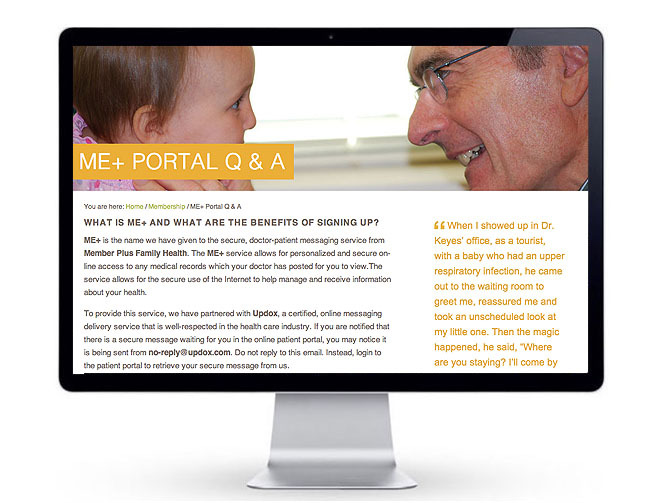 Share results electronically with patients and other providers. 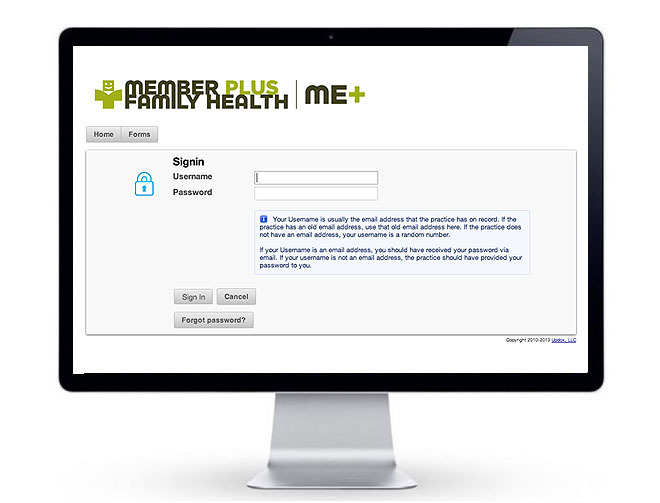 Let patients complete forms online. Streamline administrative tasks such as reviewing and signing reports and refills from any internet connected device. Offer online bill pay and insurance eligibility determination.